Like many people who are relocating, renting initially is a logical step. Settling in a new country will take time and renting permits you the flexibility if circumstances change. With the current uncertainty of the post Brexit property market, some people have the opinion that buying now will put you in negative equity. Whether this is true or not, renting takes away the uncertainty. And because this was for a family’s lifestyle move, not due to an investment motivation, it was important to mitigate risk and uncertainty. They wanted to be no more than 30 mins from Central London for the dad’s business. Luckily the fourth member of the family was a little less demanding. He is only 7 years old, so this may change as he gets a bit older. During the process the Euro strengthened against the pound and this made the rental price cheaper in relative terms. This meant we could up the budget. After we narrowed down the area and the type of property, and once I did the research and previews, they flew over and we whizzed around the shortlisted properties. We made an offer on a delightful property in Ealing through estate agents Sinton Andrews (who were fantastic and definitely an agent I would recommend – speak to Conchita!). The family only spent about 5 hours looking at properties with me, so I know I saved them a lot of time. Buying a property in London may be the right idea if you are looking at investment, and thinking about the long term future. But sometimes, it feels like too big a step. Renting in London allows you to test an area and get a feel for it, and is ideal if you know you are just stopping by for a job or school that suits you at this time in your life. 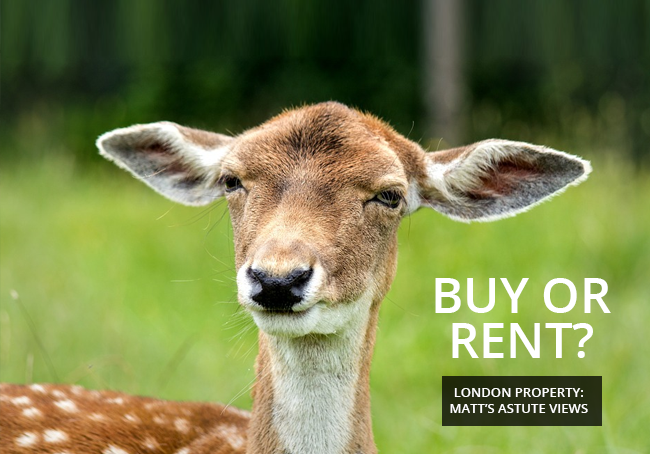 If you are looking to rent in London, and need a “man on the ground” London expert to find you a place and save you time, effort and energy, please get in touch with me on 07946 311 002. I charge the equivalent to one month’s rent and in most cases help you avoid the excessive ‘tenant fees’ which some agents charge to draw up new contracts.